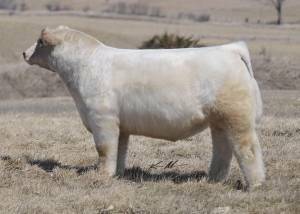 Ghost Rider was bred at Bennett Shorthorns, IL with an 84# birthweight. He’s in the top 10% for calving ease and low birthweight EPD. Perfect depth and spine for making showcattle.